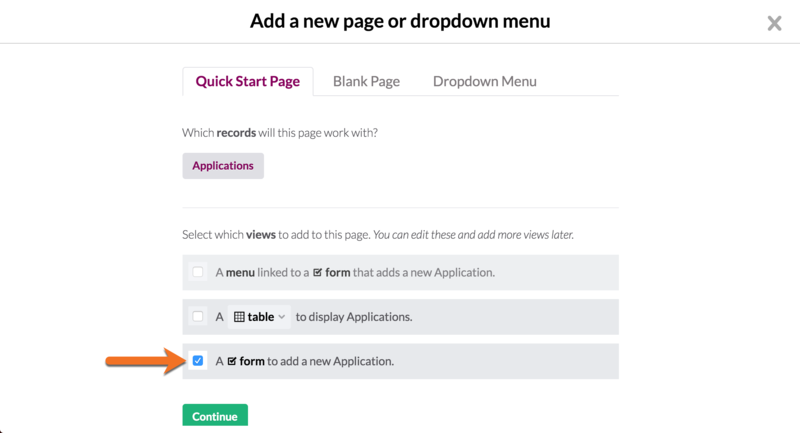 You would like your users to complete a form in steps, separated onto different pages. 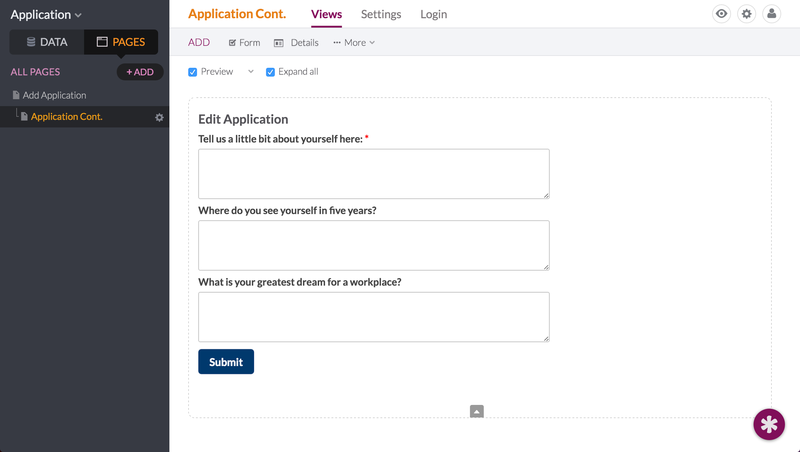 In this example, we will be building a multi-part form that will allow users to fill out an online application with multiple sections. 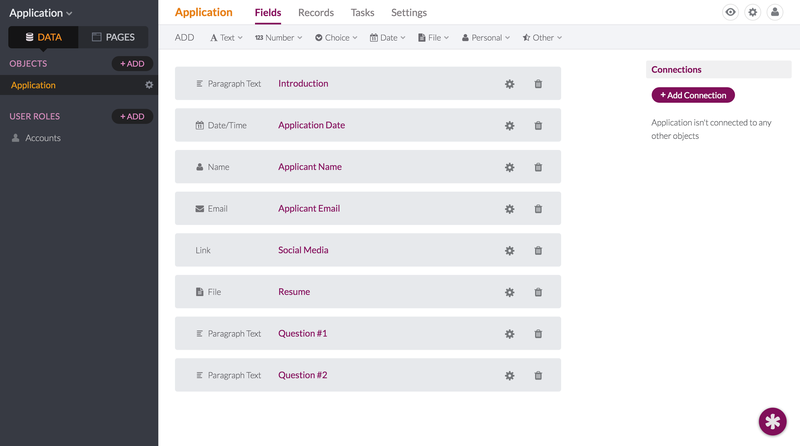 Other good resources can be found in our designing the database and building pages sections of the knowledge base. 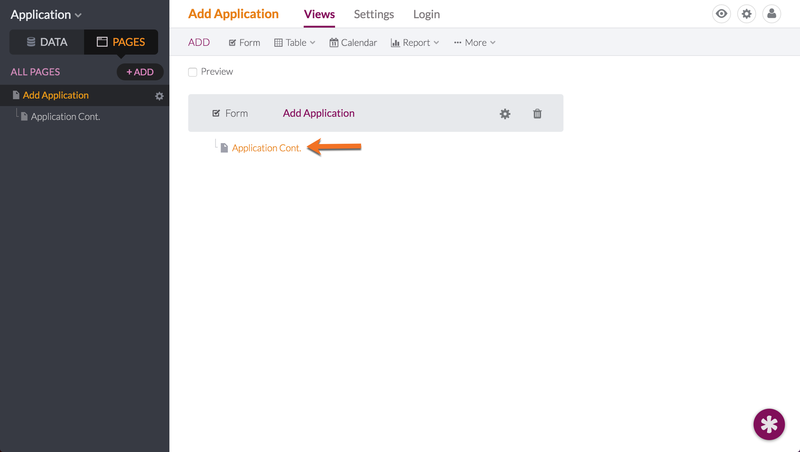 Values Set "Application Date" "to the current date"
Now you have a form with two parts. 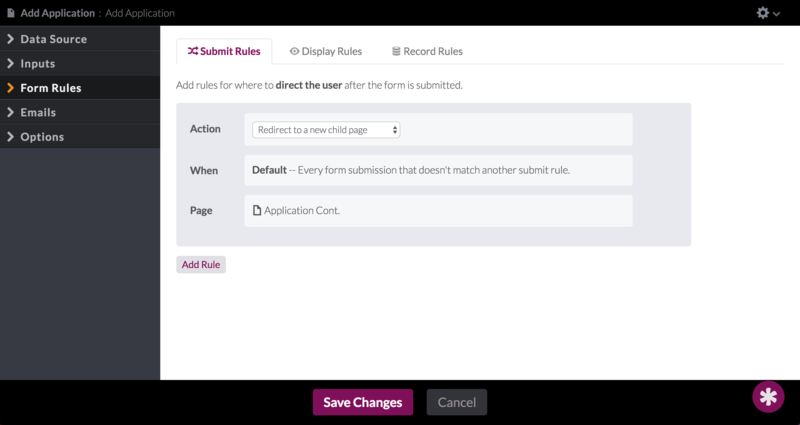 After your users submit part one (the first form) they will be redirected to part two (the second edit form). 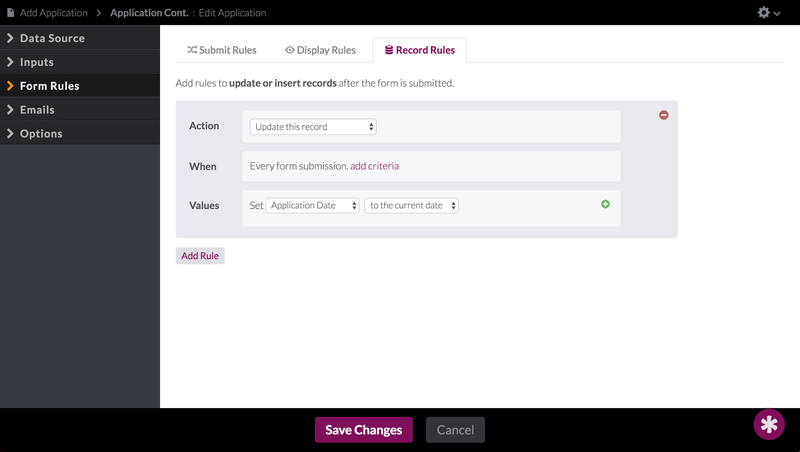 To add more than two parts to your form, repeat steps 2 - 3 until your form has the desired number of parts. 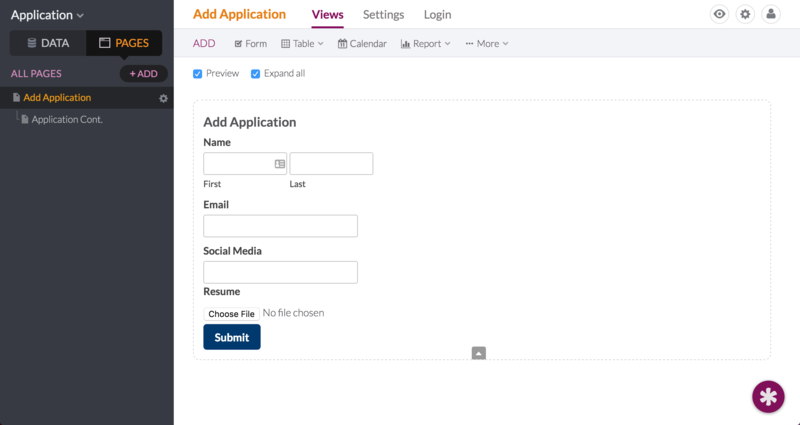 You may want to send an email to a hiring manager, the end user, or anyone else when a new Application is submitted. To do so, edit the final form and go to the Emails section. Here you can click the “Add email” button. 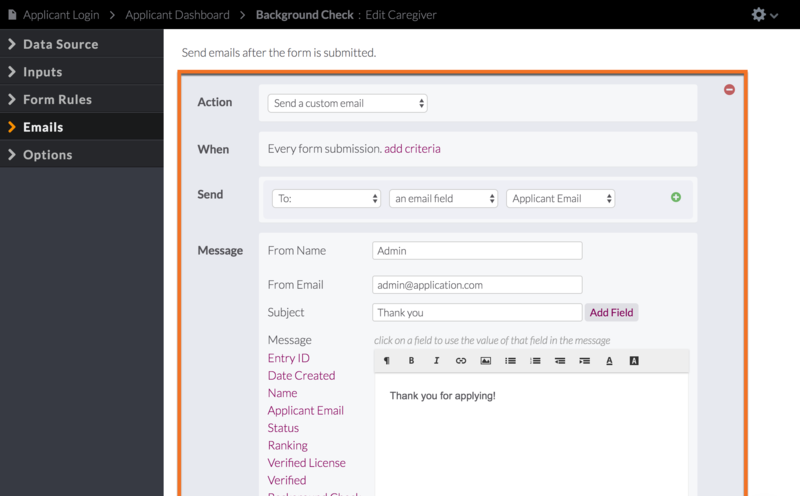 This will allow you to create a custom email to send after the final form is submitted. Add additional receivers by clicking the green + button within the Send section of this rule. 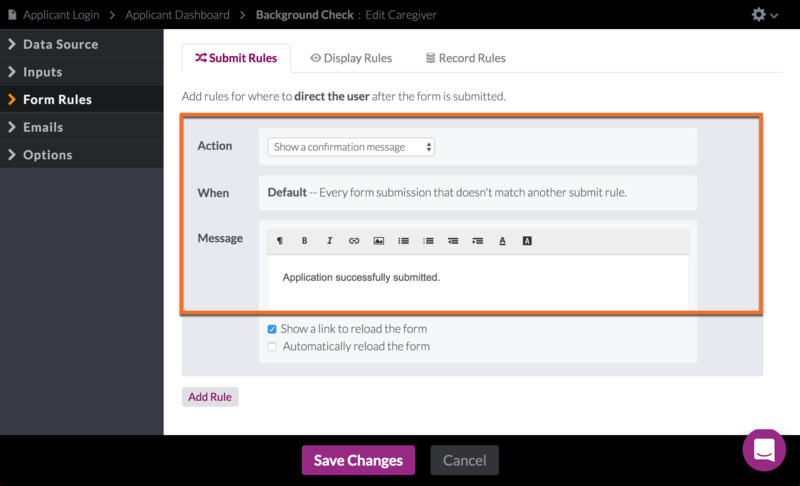 You can more clearly guide your users through a multi-step form by customizing the text on the Submit buttons.